Here is a puzzle. 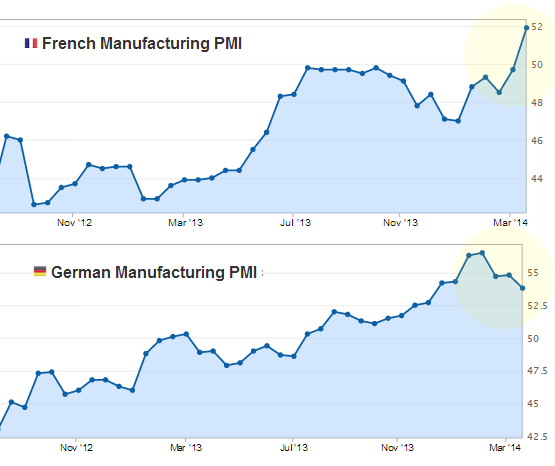 We are seeing an unexpected divergence in private sector activity indicators for Germany and France. The manufacturing report for France came in materially better than was forecast by economists while the one for Germany was worse. The services sector PMI measures show a similar divergence to those for manufacturing. What's particularly puzzling is how broad based this divergence has been.